Drug testing has become an industry standard in most countries and marijuana or rather THC levels are what is most commonly tested for. Despite the fact that some countries have already made recreational marijuana use legal, the law still permits employers to deny employment to someone based on failed THC drug test. It is for this reason that many people have started seeking a fool-proof method to pass a drug test, even if the time frame to do so is very short. The DrugConfirm™ CLIA THC urine drug test dip card is designed to detect levels of THC in the blood. This kit is built for fast and reliable results and allows one to run simple and effective drug test operations with accurate results. The DrugConfirm™ CLIA THC Urine Drug Test Dip Card can be used in different situations such as schools and workplaces. Its fast action allows or a fast and effective drug testing operation. When looking for a quick and reliable drug testing kit, one can easily rely on the 10 Panel DrugConfirm™ CLIA Urine Drug Test Cup. It is built to help detect an array of illicit drugs such as amphetamines, barbiturates, benzodiazepines, cocaine, methamphetamine, MDMA, methadone, or marijuana. This makes the 10 Panel DrugConfirm™ CLIA Urine Drug Test Cup ideal for workplace testing. The 5 Panel SalivaConfirm™ Premium Saliva Drug Test is designed to offer reliable and accurate results from just testing the saliva. It can be used for different drug tests and provides fast results. These drugs include amphetamines, cocaine, opiates, marijuana, and methamphetamines. Before we get into passing the drug test we first need to know what kinds of drug tests exist and how do they work. Essentially, any drug test performed will include testing for marijuana as well. Take note that some tests can be performed at random and on a very quick notice, due to the fact that they are very simple to conduct. Saliva drug test is by far the easiest to conduct and it provides results in the shortest amount of time. This has made it popular as a quick test during an employment interview or a random workplace test. Despite it being fairly quick to give results, it should by no means be considered inaccurate. The test is conducted by inserting a small brush or a cotton swab between the gums and lower cheek of the person being tested. The swab is then moved over the gums and under the tongue for a few minutes in order to collect a saliva sample from all areas of the mouth. 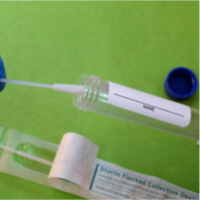 After that the swab is placed in a test tube for a few minutes and if the liquid inside the tube changes color, the results will be considered positive. Alternatively, instead of a swab, an absorbent strip can be used, which is placed between the gums and lower cheek and which will change color after a few minutes if the results are positive. How long will marijuana be detectable by this test? The upside of this test, from a test taker’s point of view, is that marijuana will be detectable in saliva for a maximum of 72 hours. This, of course, depends on several factors such as height, weight, metabolism rate, and frequency of smoking. The frequency of smoking plays the most vital role in this case, since somebody who smokes less than once per month will clear out THC from their saliva in as little as 12 hours. There are basically two methods that will help you pass a saliva drug test. Depending on the amount of time that you have to prepare you can decide on the best one for yourself. Last-minute detox or cleansing method – this is method is better suited for people who are working against the clock. While THC clears out from saliva relatively quickly, there is always a possibility of a test being administered at random and on a short notice. Having some form of cleansing method to increase your odds of passing at all times is highly advisable. There are many products in the form of bubblegum or mouthwash that are designed to clear out toxins in a short amount of time and leave your saliva sample clean for around 6 hours after using them. Natural cleansing method – this method requires a little bit of time to be performed properly and it essentially consists of abstaining from smoking for a few days. In order to bolster your chances of success, it is advisable to hydrate regularly and to exercise, as THC is fat-soluble and exercising will help you metabolize the toxins quicker. Another good thing to do during this period is to stay away from junk and fatty food and to eat products that are rich in vitamins, like leafy vegetables and most fruits. The best option would obviously be combining both methods if the time permits it and doing it this way will have the greatest chance of success. 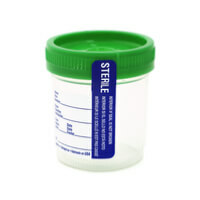 Urine drug test or urinalysis is by far the most common way of testing for any illegal substance, including marijuana. While it cannot be performed on such a quick notice as a saliva drug test since the sample has to be tested in a laboratory, its detection time is longer and the cleansing process needs to be more thorough. What is the procedure for a urine drug test? The employer will usually schedule a test for you in the local clinic or laboratory. You will come to the clinic at the appointed time and will be given a container in which you are supposed to provide the sample. Depending on the level of control you will be given an amount of time to provide a urine sample and in some cases, you might be even monitored while doing so to prevent tampering with the sample. After the sample is given it will be brought to the laboratory for testing and your employer will be notified of the results in a couple of days. As opposed to saliva test which is made with the purpose of testing for recent marijuana use, the urine test can determine if the test taker has used marijuana for as long as 30 days from the last consumption. Again, this time depends on factors like frequency of smoking, body fat content and metabolism rate, but in most cases it takes more than 2 weeks to clear out the THC from the urine. Since the urine test is the most common type of test it should not come as a surprise that there are so many methods to pass it. The method you choose will depend on the amount of time you have before the test and using several different methods will usually provide a better chance of success. Using synthetic urine – this is the preferred method for those who have to pass the test on a quick note and with a big rate of success. Synthetic urine can be bought from Amazon and there are brands that specifically cater to the needs of drug test takers. The most important thing when using synthetic urine is to make sure that the temperature is right, as a cold sample will usually be a tip off that the sample has been tampered with. The downside to this method is that you have to find a way to get the synthetic urine inside the test clinic and pass it as a sample, since most clinics have a strict control to prevent this from happening. Natural detox process – as with the saliva test the detox program for urine drug test consists of the same steps with some added things that can speed up the process. Bear in mind that the cleansing process for urine testing usually lasts 2 to 3 times as long as the one for a saliva test since THC remains in the urine for a longer period of time. Luckily, there are detox products all over the internet that help quicken this process when used in conjunction with proper hydration, diet, exercise and abstinence from marijuana for the duration of cleansing. Last-minute detox process – in this case, you will be looking to expel the THC from your urine for just enough time to give a sample. There are several different methods to this, some of them more popular than others. Specialized detox products – there are products that are advertised to cleanse your urine of THC for a certain period of time, allowing you to give a “clean” sample. Most of these have mixed reviews which could be explained by the fact that these products can indeed work, albeit on a lower concentration of THC. Casual smokers and people who already had some time pass from their last smoking session and went through a detox process will more likely succeed with these products than people who smoked the night before the test. Niacin – taking niacin pills has been reported to increase the rate at which the body expels THC by quickening the metabolic rate of fats which contain deposits of it. Take note that niacin can have nasty side effects like skin rash and swelling and should be taken in a controlled manner. Certo or Sure-Jell method – this method is one of the more commonly used last-minute cleanse methods, due to its simplicity and lack of side effects. Basically, you need to mix a packet of Certo or any other fruit pectin in a 32 oz. bottle of Gatorade and drink all of it 3 or 4 hours before the test. You should also make sure that you urinate at least 3 or 4 times before you give a sample for testing. What is the best way to beat a urine drug test? The best way to beat a urine drug test is to use synthetic urine. This may prove difficult considering the urine needs to match body temperature and must be concealed very carefully, as you may have a person watching you as you produce the sample. Synthetic urine is available for purchase on sites like Amazon. None of these methods (aside from synthetic urine) have a 100% chance of working on their own. That is why it is advisable to do a combination of natural long-term detox process coupled with the last-minute method before the test for best results. Contrary to urine and saliva drug tests that look for metabolites (substances that our body transforms toxins into), blood test looks for actual drug traces which makes it more suitable for determining current intoxication level rather than long-term consumption. The fact that the test itself is quite expensive compared to others and has to be done by a licensed medical expert makes this test the least popular one of the four. You will come to the clinic at the appointed time and a blood sample will be taken by a licensed medical expert, usually from your forearm vein. After the sample is taken it will be brought to the laboratory for testing and your employer will be notified of the results in a couple of days. Since this test looks for traces of THC rather than its metabolite, the time it takes your body to cleanse is dramatically reduced. For a casual smoker 2 – 3 days will be enough to clean out all the THC in 99% of the time. Heavy smokers (more than 3 smoking sessions per week) will have to wait up to 7 days to make sure that their blood is “clean”. The best way to make sure that you pass your marijuana blood test is to abstain from smoking for 4 days as a casual user, or 10+ days as a heavy user, while hydrating and eating properly. Using a specialized detox product will work just as well as with urine test. Given that blood tests take time to schedule and have a short detection time you will usually have more than enough headway to naturally detox your body, but if time does not permit you to do this there are last minute detox methods that can help you pass the test on a short notice. Specialized last-minute detox products – any detox product that will work for urine test will also work for a blood test. Bear in mind that marijuana is detectable for a shorter period in blood than it is in urine so even following a 2-day detox routine will usually prove sufficient. Certo method – as with urine test, Certo method will work on a blood test as well. Mix a packet of Certo into a 32 oz. bottle of Gatorade and chug it down. Do this an hour before the test and you should have no problems passing a blood test. Out of all the drug tests, hair test is the hardest one to beat and it also has the longest detection period. The upside to it, from the test taker’s point of view, is that it can only detect THC and its metabolites 5 days after the last use. You will come to the clinic at the appointed time and a have a hair sample taken from you. The hair sample is a thin cutaway from the back of your head, usually 1.5 inches from the scalp. If you have short hair or are bald, any other body hair will suffice. Considering that every half-inch of your hair represents one month worth of hair growth, this method can determine if you smoked marijuana months, even years prior to the test being carried out depending on the length of your hair. Luckily, usually only the 1.5 inches closest to the scalp are taken which represent the last 90 days prior to the sample being taken. Since hair takes nutrients from your body and mainly your blood to grow, and the metabolites become a stable part of your hair this way, there are only two proven methods aside from abstaining from smoking for 90 days, which will help you test negative. First, you will have to put on some eye protection, use swimming goggles or any similar eyewear. Get our hair wet with warm water. Massage vinegar into your hair and scalp. Massage salicylic acid shampoo into your hair and scalp. Take note that this will cause a burning sensation. Wipe any excess shampoo from your ears and forehead, put on a shower cap and wait for 30 to 45 minutes. After 30 to 45 minutes have passed take the cap off and rinse hair with warm water. Wash and rinse thoroughly using Nexus Aloe Rid Shampoo. Add some detergent and again rinse thoroughly until everything has been washed off. Repeat this every day for 10 days, or if you do not have that much time do it tow times a day for 5 days. Do not do it more than that as you risk damaging your hair seriously. This method has the highest rate of success as reported by the many people who previously attempted it. While there are other similar methods that include using bleach, they are usually really unhealthy and potentially health threatening which is why they are not mentioned. Method 2: Shave off all your hair – this method is less advisable as coming to a hair test without a hair on your body will raise suspicion. No matter what drug test you are about to take there are always methods that can raise your chances of testing negative. The best method for all of these is obviously abstinence from smoking, since your body will naturally clean itself up if given enough time. If time is not the luxury you have, trying one of these methods may prove beneficial to you. At least 30 days naturally, you can increase it by drinking a tone of water and doing a detox. I have drug test in couple of days in my call centre office, I am a regular smoker and wants to know how to clear it without worrying.. Sad that this drug culture (Big Pharma) is able to poison us daily, but the one natural substance that heals vets like me with PTSD and anxiety and sleep disorders are treated like criminals. Insane. I’m with ya there. I also am a vet with PTSD and anxiety. I find that marijuana helps me better than the Xanax’s the VA had me on. I can relax and get some sleep without the groggy hangover the next day. I haven’t smoked since January 4th and I took a home 50ml drug test last night and it still came up positive. It’s almost been two months!! What are my chances on passing a 20ml thc lab test? Trying to get a new job and thought it would be out of my system by now. I wanted to share my experience because I feel I’m not in the norm. I travel for work, every 3 months I change jobs which means a drug test every 3 months. I took a job in Reno, Nevada & For the first time ever I was in a state with legalized weed and pot stores everywhere. I was super curious so I bought some. I was using those pens with the concentrate cartridges. I took a few hits off of that pen pretty much every night after work for 6 weeks. On the weekends I smoked more. Anyone who says it’s not physically addictive or mentally addictive would be wrong. It was all I could think about. And if it started reaching the 24 hour mark without being high my body would start to react. I would get extremely nauseated and start having anxiety. I knew I had to stop using it because I was going to be having a drug test coming up, so I stopped a little over a month before the drug test. It was soooo hard to quit. Well, I ordered some test strips off Amazon to test my urine before my dry test. I ordered both 20ng cut off and 50ng. I was shocked to find after about five weeks I was still testing positive on both. I will say i’m 5’11 and about 270lbs so high body fat definitely contributed. Well… I won’t tell you exactly how I passed but I had to sub urine and I got away with it. Lesson learned right? Yeah no. My next contract was in Las Vegas. Needless to say I couldn’t stay away from the stuff. Went right back to hitting the pen a couple times every night for 1 month. This time I allowed a little over 2 months to get clean. Guess what… to my horror I wasn’t clean when the time came to test again. Now, I had begun to do the keto diet and was exercising & down to about 260lbs. So I layed off the diet and exercise a few days, the day I retreated myself I drank tons of water, took vitamin b & creatine, and waited till later in the day to test. Still positive on both levels of tests. This was about 9 weeks after last use. Once again I had to sub pee. Unfortunately the person who peed for me had taken Vicodin. So I failed my drug test, lost my job, and wound up in a huge mess. Lesson learned. This was a horrible experience. Never again!! Obviously I had to find a new job. Well I kept testing myself and at about 11 weeks I finally saw a tiny hint of a faint second line on both test kits. (That means a negative test). But the line was so so faint it’s not terribly reassuring. I’m now at 12 weeks out and I have to go drug test in a few days…. I’ve laid off the diet and exercise and I’m drinking lots of water. Will che k my urine again in a few days just to make sure it’s negative. It’s insane to me that’s its taken about 3 months to get clean pee. Be careful! Super helpful info. im in WA, damn that awesome pen, crazy that we get ourselves in these situations. Got a new job drug screening test coming up…wasnt planning on a new job but got a great offer….hate to loose it for the pen life. super hard to put it down…I’m going to break mine, its tuff to stay stopped 24hrs later is the hardest for me. Just reading this, I’m in the UK and I am joining the Navy at the ripe of old age of 31 and obviously have to be clean from the weed. I have a friend who wasn’t getting paranoid about his employers at a top engineering firm testing him and he detox naturally in three weeks, ie he passed the DIY urine tests. I think over the UK we seem to be quite lucky and employers aren’t necessarily as stringent or strict when it comes to cannabis use, the US seems very harsh, especially as it seems to be generally accepted as a recreational drug nowadays. I haven’t had a joint since Saturday and I feel a lot sharper etc but yeah I know it’s a hard thing to beat I’ve been doing it since I was fifteen and I’ve just went four days without which is the longest I’ve been without since a family holiday ironically to Florida in 2015. I just thought I’d comment on how unfair it seems in America when it comes to employment and drug testing, especially as it seems very readily available. I have worked in insurance since I was 18 and never once have been drug tested and I’ve had a few different roles in a few different companies. I must admit having not smoked it in four days, I now have less paranoid thoughts and a more positive outlook but I’ve been dreaming about cannabis and drugs tests. The brain is a mad thing! I was in outpatient rehab for 6 weeks and had to attend 3 times a week, every week we would randomly be drug tested for a whole slew of drugs including marijuana. I still managed to smoke at least 3 times a week and didn’t get caught until the 4-5 week. Before this I had been smoking everyday and had continued smoking throughout the program, I was even high during the program a few times. Nonetheless I was able to frequently pass these test with a negative. The trick was not water, but a combination of water and cranberry juice. I had read on an article somewhere that cranberry juice could quickly cleanse your system and I was eager to try anything as I had an upcoming drug test the following week. I drank an entire gallon of cranberry juice with tons of water throughout the week and by the time the test came I was clean. I was about 60 kgs with a relatively fast metabolism and I would workout frequently. Guys this is by far the most effective as it got me clean and the juice itself made me feeling like I had more energy I highly recommend this. I take just a few hits every night to relax me so I can sleep. I haven’t done any in the last 2 nights. What are my chances of passing a urine test? I smoke just a couple hits e every night to relax and sleep. I haven’t in 2 days now but I’ve done this for a very long time. What are my chances of passing a urine test?